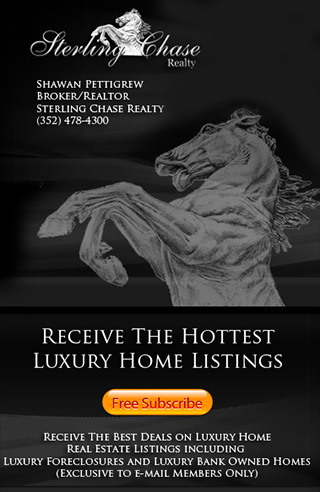 View the Top 10 Best Deals on Luxury Real Estate near Orlando FL. We Feature the Top Ten Most Affordable Luxury Homes for Sale in Central Florida including Luxury Golf Course Homes, Luxury Waterfront Homes, Luxury Gated Community Homes and more!. If you have any questions about any these Affordable Luxury Homes for Sale or just need help in finding the perfect home, please call us at 352-404-4622.